Sustainability is the combination of understanding and chances. Whether organic, Fairtrade, UTZ or Rainforest Alliance - sustainability has got a special significance for us. Schirmer’s “Kaffee-Kompass” (coffee compass) shows you the way. We are visiting the cultivation areas worldwide. This enables us to support the farmers and their families and allow them to earn an improved income by placing long-term-contracts. While visiting our coffee experts survey the green bean qualities as well. Our corporate culture is characterised by responsible, sustainable action and fair cooperation in all ranks. This is of course also valid for the purchase of green coffee which we mostly procure from countries with small farming structures. 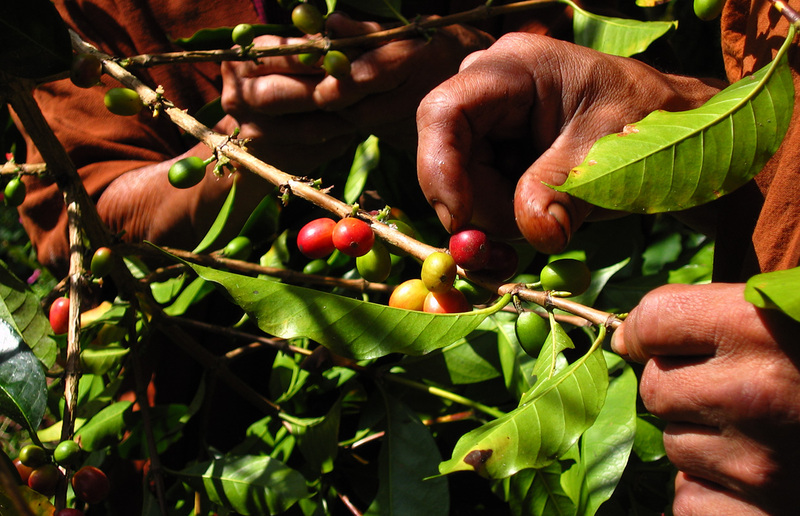 With the main use of highly valued Arabica green coffee varieties we contribute to the improvement of the income situation in the countries of origin. The small farmers realise higher gains with the cultivation and sale of Arabica than of the lower quality Robusta varieties. Already since the founding of TransFair in 1992 Schirmer Kaffee has been Fairtrade certified and has supported the small farmers in the countries of origin through the purchase and marketing of Fairtrade certified coffee. Schirmer JUBICAFÉ provided enjoyful attention in the anniversary year. Exclusively composed of highland coffee beans from two Fairtrade coffee cooperatives it spoiled with an aromatic and rich taste. From each sold package 0,10 € were donated additionally to Fairtrade. Our donation resulting from the JUBICAFÉ promotion in cooperation with Fairtrade had contributed to establish a school in Tanzania. © 2018 Schirmer Kaffee. All Rights Reserved.